In case you missed it, National Dairy Month is coming to a close. Never heard of Dairy Month? Well, it joins the likes of other obscure food-related holidays like National Hot Dog Day, National Pork Rind Day and National Cake Pop Day. But there’s a key difference. You’re paying for Dairy Month. 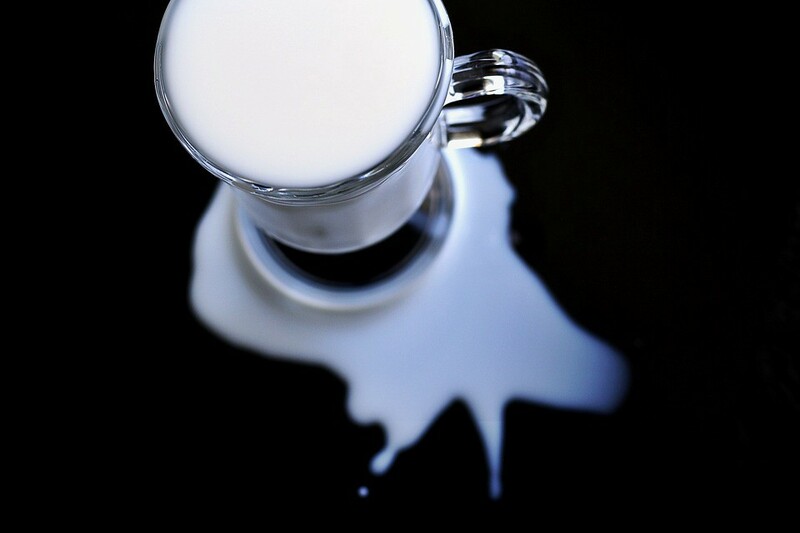 National Dairy Month started out as National Milk Month in 1937 as a way to promote drinking milk. It was initially created to stabilize the dairy demand when production was at a surplus but has now developed into an annual tradition that celebrates the contributions the dairy industry has made to the world. Eighty years after the inception of Dairy Month, the industry is still producing more than people want. Producers know the government is there to bail them out. That life preserver comes at an incredible cost to the environment, wildlife and taxpayers: The industry adds nearly 95 billion pounds of greenhouse gases to the atmosphere each year — more than a dozen coal-fired power plants emit annually. We know coal isn’t clean; dairy is dirty too. So let’s honor the end of Dairy Month by getting real about how to fight the contribution Big Dairy has really made to the world. Just last fall the USDA used our tax dollars to purchase 11 million pounds of surplus cheese nobody wanted — to the tune of $20 million. Federal dairy bailouts have been happening for decades. It’s not just the millions of dollars in cash we hand them for making too much cheese. We subsidize Big Dairy through the federal “check-off” programs as well. Remember those “Got Milk” ads? They’re funded by the USDA. The money the USDA spends on surplus dairy could be going toward food people actually want, like making organic fruits and vegetables more affordable for everyone. The demand for organic produce is booming, with a 300 percent growth in the last 15 years. Dairy cows packed in tight at a feedlot. 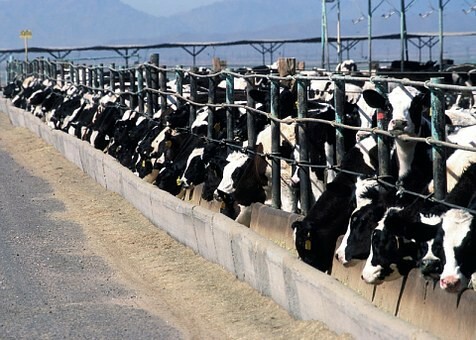 In addition to the greenhouse gases emitted by dairy production, mega-dairies — enormous facilities — create an environmental nightmare for the people and wildlife unlucky enough to neighbor them. Federal and state governments prop these factory farms up by permitting them and not adequately regulating the environmental damage the facilities create. For example, a coalition has petitioned the Oregon Department of Environmental Quality to reconsider the water pollution permit for one such mega-dairy that would house 30,000 cows who would produce 187 million gallons of wastewater and manure each year. Our communities want to be invested in sustainable food production and colossal factory farms don’t fit that bill. We are moving toward more local, organic, humane, fair and sustainable food systems and our government should be supporting that at the federal and state levels. The USDA has refused to follow the recommendations of its own panel of scientists and ignored the studies conducted by hundreds of top experts around the world. 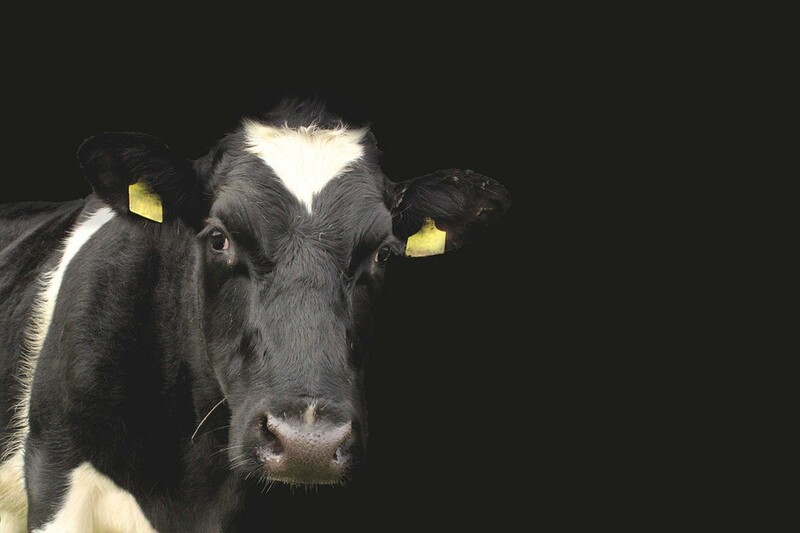 Research shows our dairy-heavy diet isn’t healthy for people or the planet. Based on that research, the USDA should have encouraged Americans to eat less meat and dairy. Instead, in the 2015–2020 Dietary Guidelines, the USDA recommended Americans consume even more dairy. Governments around the world — including the Netherlands, United Kingdom and Sweden — have published national dietary guidelines urging people to eat less meat, dairy and seafood. This advice can change how people eat and how menus are created in schools and government facilities. And ultimately it can change the quantity of greenhouse gases released into our atmosphere. Big Dairy and its lobbyists have an unimaginable amount of political power over our legal system and over federal agencies. In 2011 an Idaho dairy named Bettencourt Dairies — a supplier for Burger King and Kraft — got in the hot seat after an undercover video exposed animal cruelty practices. In response Idaho passed an “ag gag” law, Idaho Code sec. 18–7042, which attempted to prevent people from recording and reporting acts of cruelty and environmental violations on factory farms. The law was later struck down for violating the First and Fourteenth Amendments to the U.S. Constitution — but it was also revealed to have been written by the Idaho Dairymen’s Association. Laws should protect people, not the profit margins of corporations hell-bent on harming us and violating our rights. We need the USDA to lead the conversation on sustainable diets. You can help encourage that and tell the USDA to promote sustainable food. But you don’t have to wait for the government to act. You can vote with your wallet by making smart diet decisions and trying plant-based dairy favorites at the grocery store. You can even make your own earth-friendly versions of fancy cheeses and comfort food staples. We can’t change our system overnight, but each day offers the power to make your own choices. And best of all, you’ll not only get to indulge, you’ll be saving wildlife and habitats, clean air and clean water, while you’re doing it. Jennifer Molidor is the senior food campaigner for the Center for Biological Diversity.